This review was originally written for DVDTalk.com in 2014. Twenty-two years before George Cukor would remake A Star is Born (and even five years before William Wellman's original), the director would set the standard for the quintessential Tinsel Town tale with his entertaining pre-Code melodrama What Price Hollywood?. Cukor mines some pretty dark material here, seemingly fascinated with the mechanics and mythology that had already sprung up around what was really a very young industry. The studio machine that churns out Mary's publicity--including the hands-on studio head (Gregory Ratoff) who goes so far as to plan her wedding--and the contentious relationship between the stars and the press appears no different then than it is now. There are even scary run-ins with fans, who literally try to tear the clothes from Mary's body. At the same time, the backstage efforts have their own magical efficiency. 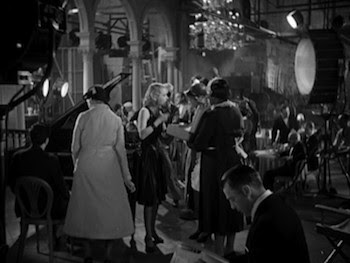 Cukor inserts shots of the technicians at work, a peek into the complicated choreography of a movie set. Gearheads should enjoy seeing the old cameras, microphones, and the like. 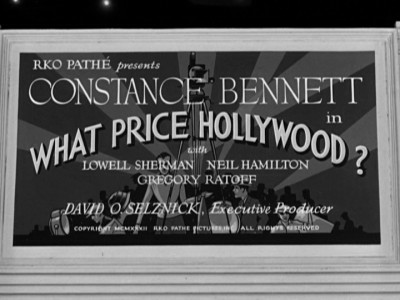 Constance Bennett is a dream as Mary, hitting on several notes that would become archetypical for this type of story--wide-eyed ingénue, a marquee-powered diva, frustrated wife and mother. She and Lowell Sherman make a fine pair. His performance here establishes him as one of the great on-screen drunkards. There is both comedy and tragedy in Max's descent, with neither side played so heavy as to ring false. He's the kind of guy you want to tip a few with, he's so much fun, but whom you also aren't surprised loses control. Naturally, the way What Price Hollywood? brings the starmaker and his protégé together casts them as the only two authentic people in an inauthentic business. What really makes What Price Hollywood? sustainable, however, is that it manages to have its cake and eat it, too. 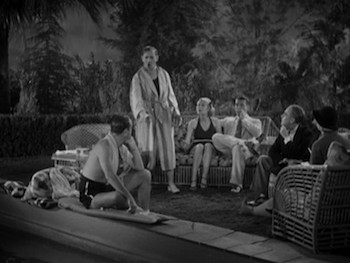 Like the best behind-the-scenes exposés, Cukor's film loves and hates its subject. He subverts the emerging tropes even while reveling in them. Mary at one point complains that she has a baby in every movie the studio puts her in, to which the boss replies at least this time her character is married. It's the kind of knowing crack that would be censored once the Hayes Code was put in place, though in What Price Hollywood?, the joke holds true: Mary has a baby after her marriage has dissolved. And she gets her happy ending, too.